Anyone who’s used makeup knows that the key is to get it looking as flawless as possible. It’s not always easy and even seasoned users can make mistakes. Too little and marks and spots won’t be concealed effectively. Too much and it will look caked and unnatural. Fortunately, there’s a ton of products in the market today to help even newbies achieve a flawless look. Kiss Photoshop Goodbye with Airbrush Makeup? 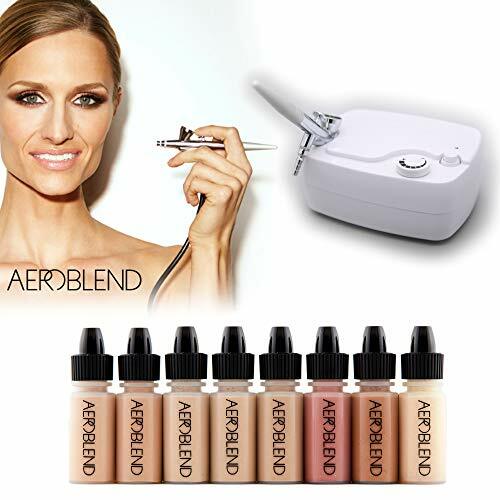 One of the hottest products that has everyone raving is an airbrush makeup kit. 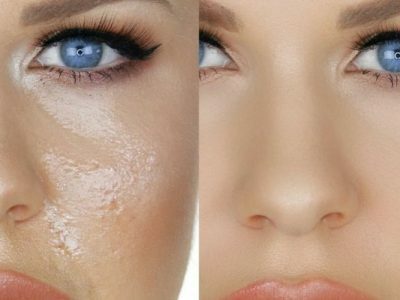 It’s the solution to all your makeup woes because the results are unbelievable! 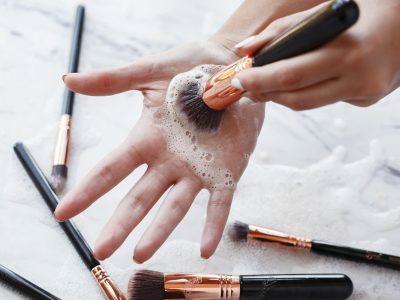 If you’ve been loyal to brushes, sponges and fingers, the term ‘airbrush makeup’ may have you wondering just what it’s all about. For the uninitiated, it comprises a compressor connected to a gun, which evenly sprays product onto the skin, and the product itself. What’s great about airbrush makeup is that you can control how light or heavy you want the application to be. Are you sold yet? 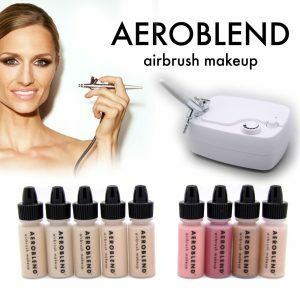 Check out these airbrush makeup reviews to find the best products available today. 1. 6 foundations in fair to medium shades. There are several key differences between the two and it’s important to know what they are. Application: Traditional makeup is designed to be applied with the fingers, sponges and brushes. 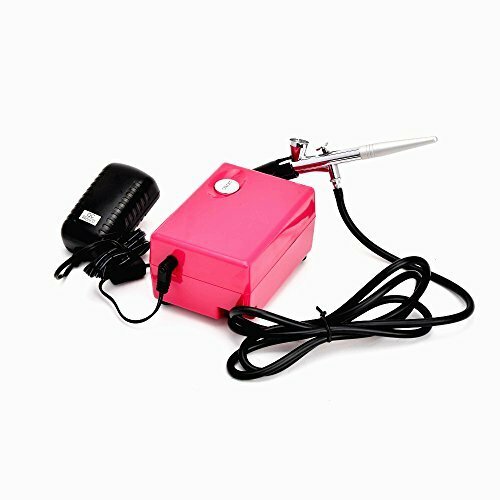 Airbrush makeup is applied using a makeup gun that’s hooked to a compressor. Product type: Traditional makeup has varying consistencies but is largely more viscous. Airbrush makeup is thin so that it can pass through the gun in a fine mist. Traditional foundations/concealers/blush etc cannot be used with an airbrush makeup gun. Coverage: Traditional makeup can feel heavier on the skin. It also provides fuller coverage. Airbrush makeup is light and although it does a good job of concealing imperfections, it still looks natural. 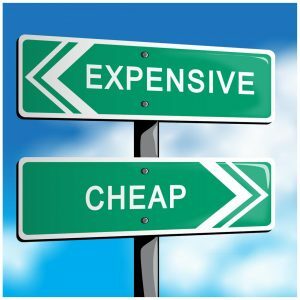 Cost: Traditional makeup ranges from cheap to expensive. Airbrush makeup is largely expensive because kits include several products including makeup gun and compressors. This is a kit for everyone, whether you’re new to airbrush makeup or have mastered it like a pro. It has everything you need to complete your look, right from a 6-piece foundation set of fair to medium tones to an anti-aging primer, shimmer, blush and bronzer, all neatly packed into a stylish carry bag. The compressor system is very easy to use and with just a little practice, you’ll be able to create any look you want. Unlike some compressor systems that have limited pressure adjustment, this little marvel gives you full control with its fully adjustable control knob. Art of Air’s foundation set is water-based and delivers a finish that looks like second skin. It effortlessly hides freckles, acne and age spots. You don’t need a separate concealer for those tough-to-cover-up spots; just focus the hose a little longer and bid goodbye to blemishes. 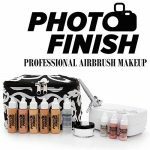 Photo Finish’s airbrush kit delivers exactly that – a photo finish. It contains 5 foundation shades varying from fair to medium along with a blush, shimmer, concealer, anti-aging moisturizing primer and a silica finishing powder that has a lovely silky texture. This is mineral-based makeup that’s free of non-harsh preservatives so your skin remains healthy. It’s paraben-free too and has not been tested on animals so your conscience can stay clear! The Professional Airbrush Make up Kit is one of those kits that you’ll turn to time and again when you want your makeup to stay put. It doesn’t smudge and is waterproof. The matte finish reduces the appearances of pores, minimizes skin imperfections and eliminates shine, leaving you photo-ready at every opportunity. Similar to Art of Air’s makeup kit, Photo Finish’s compressor system offers fully adjustable airflow for the best control. 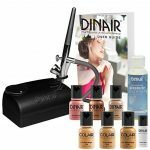 Dinair airbrush makeup have usually been positive and for good reason. It developed airbrush makeup for screen actors three decades ago and its innovative products continue to provide terrific results today. The starter kit has everything you need to look your best. 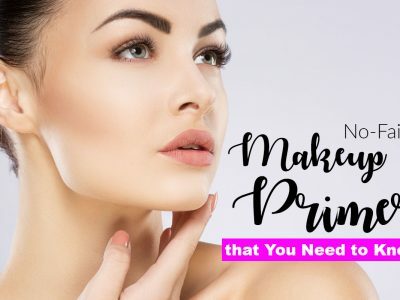 3 medium tone foundations, 3 multipurpose items that can be used as a blush or a lipstick, a highlighter, eyeshadow or a bronzer; a moisturizer that gives a dewy finish; and, of course, the compressor system – which is 20 percent lighter – all help you achieve terrific and long-lasting results with no touch-ups necessary. If you’re worried about the lack of a primer, don’t. The products set on contact and are smudge-proof. Dinair products are non-comedogenic, meaning they don’t clog pores so your skin can breathe. The formula is water-resistant, free of silicone and parabens and is not tested on animals. Mineral Air sets the bar high with its cordless airbrush kit that just makes application so much easier. First-time airbrush makeup users will appreciate this feature and find it to be less cumbersome. The airbrush foundation machine is rechargeable and comes with a USB cord. The kit consists of a foundation set with two additional colors to help you get the perfect match for your skin tone. The mineral-based product is free of parabens, gluten, synthetic dye, talc, phthalate, BHA and BHT. The foundation lasts for up to 10 hours with each application. We recommend a light dusting of finishing powder for longer lasting wear. One of the biggest USPs of the makeup gun is its compact size and portability. And if you’re worried that you won’t be able to control the spray, your fears will go unfounded. The micro-tip lets you spray only on those areas you aim at. It’s not everyday you get to see such a huge range of foundation colors but Dinair’s double shade range offers just that. 9 foundations varying from fair to medium tones, 3 eyebrow products, 3 eyeshadows, 3 blushes, 4 highlighters and 3 lipstains called Wine Down, Havana Nights and Whisper – that’s as complete a kit as we’ve ever seen! Add to that a dewy moisturizer and you have a whole arsenal of products to last for months on end. The double shade airbrush kit is perfect for aspiring makeup artists and seasoned professionals. While you can have it for personal use, the spectrum of choices makes it a must-buy for people who will get the most use out of it. 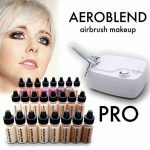 Aeroblend really sets itself apart with its PRO Starter Kit, which contains not 3, not 6 but 16 water-based foundations, 6 blushes and a highlighter and bronzer. The vast range of colors means you don’t need to spend precious moments mixing and matching products to suit your complexion – a big plus when you’re in a hurry. Just use the shade closest to yours. The products are very pigmented too and you need only 5 to 7 drops to get skin looking even-toned and flawless. They’re also infused with plant-based goodness such as lavender and jojoba and are free of parabens, silicone and petroleum-derived ingredients. The PRO Starter Kit is ideal for personal and professional use. Its compact size and quiet compressor makes it a perfect travel companion. Use it on yourself, friends and clients to get superior results any time of the day. 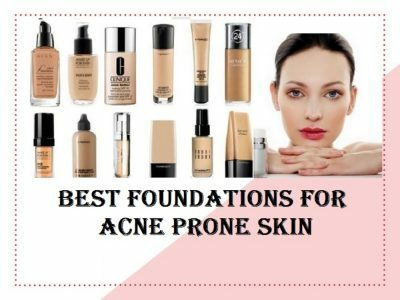 It can be a pain finding foundation that matches fair skin perfectly. 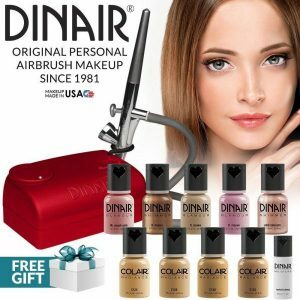 But with Dinair’s airbrush makeup in fair shades that vary from Vanilla to Olive Beige to Natural Beige, you can get just what you’re looking for. It also has 3 multi-purpose formulas that can be used on the cheeks, lips and eyes. The buildable products allow you to go for a sheerer coverage or work them up for fuller coverage. The kit also contains a moisturizer with a dewy finish to give you skin an enviable glow. Dinair’s makeup is lightweight and you never feel like you have too much on. The formula lasts for hours too and there’s little to no need for touch-ups. It’s non-comedogenic to prevent blocked pores and helps skin breathe. 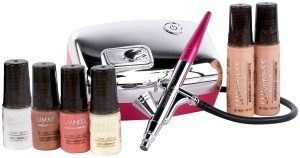 A neat little mineral-based starter kit, TRU Airbrush Makeup is a convenient companion to have with you at all times. Although it doesn’t offer a wide range of foundation colors – only 2 – they can be mixed to create shades for fair to medium complexions. It has a Berry Sorbet blush, a 3-speed compressor system – which makes application much easier – and comes with a free travel bag to keep everything in. TRU claims that it takes just a couple of minutes to apply the makeup and it stays in place for up to 18 hours, thanks to the inclusion of a soy protein. With a little practice, you should be able to complete it in about 3-4 minutes.TRU Airbrush Makeup was the official makeup sponsor of the Miss America 2014-2015 pageant. Although on the pricey side, it’s one of the best airbrush makeup and worth every cent. Based on the numerous positive Luminess air brush makeup reviews, you can be sure this is a great starter kit for beginners and pros alike. It comes with 4 foundations in a medium tone, a blush, moisturizer/primer and a highlighter that gives a gorgeous glow to the skin. 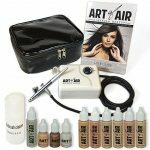 The easy-to-use airbrush system is a great choice for people just starting out as there’s really nothing to it – just fill it with product, turn it on and it’s good to go. Luminess is ideal for all skin types as the formula is water-based and hypoallergenic. It’s very lightweight too, making it a great choice for both everyday use and special occasions. You can build it up to suit your needs and don’t have to worry about cakey results. The makeup lasts up to a very long 18 hours so there’s no need for frequent touch-ups. 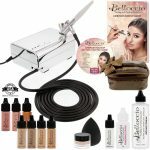 Belloccio professional airbrush makeup system has everything you need to achieve Insta-worthy looks. The compressor has 3 airflow settings to offer better control while 4 medium shade foundations let you get the perfect color match. It also comes with a primer, blush, bronzer and shimmer. The kit doesn’t stop there, however; you get 3 bonus items in the form of a medium shade concealer, a makeup sponge and a setting spray. There’s a user guide video too to help you master the basics of airbrush makeup. This is a pretty cheap airbrush makeup kit considering the number of items. If you’re looking for one that gives great bang for your buck, this is it. 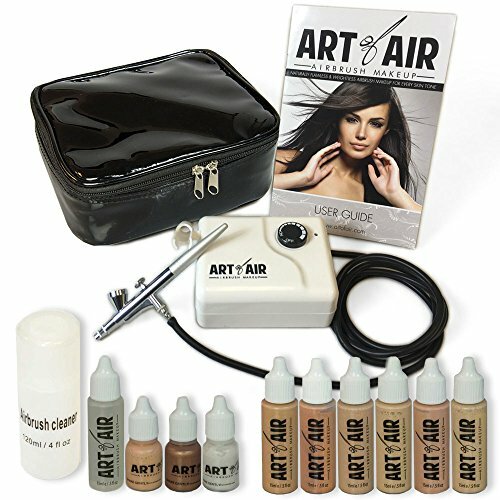 Airbrush makeup is gaining popularity and there are many up and coming brands that offer kits with the works. When choosing one, look for the best airbrush compressor, which usually has adjustable settings; several foundation shades (extras like primers, blush etc are always welcome! ); products that are non-comedogenic, hypoallergenic and preferably, cruelty-free; and an airbrush cleaner. Once you get what you’re looking for, it’s time to experiment and create the looks you’ve always wanted to! Airbrush makeup has been around for a while but it’s recently been catapulted into the spotlight. Getting the perfect look has become a goal that many makeup lovers pursue with a frenzy and airbrush makeup can make light work of it. The flawless finish that it delivers is what has everyone raving and rushing to get their hands on an airbrush makeup kit. However, it’s important to know how to choose a kit despite the great results airbrush makeup offers. Since there are so many in the market today, it pays to shop smart. Like all makeup products, there are bad apples that you want to avoid not just to save money but to protect your skin. Here is a short buying guide to help you in your quest. The best airbrush makeup is made by brands that have established themselves. They’ve been in the business long enough to know what formulas work and what airbrush foundation machine delivers the best results. This is not to say that newer brands don’t produce good makeup; but known brands have spent years perfecting formulations and more times than most, there’s a marked difference to how well the products sit on the skin, how long they last and how they positively affect the skin. The compressor system is likelier to have a better build quality too. Often a bone of contention between makeup users is cost. To many, higher priced products are indicative of quality while to others they aren’t. Which is it, then? Much of it boils down to personal choice but it’s mostly true that higher priced products may have a better payoff. They’re more pigmented, glide on easier, can be gentler on the skin and stay on longer. Investing in good makeup, therefore, turns out to be cheaper in the long run. Professional airbrush makeup kits contain different formulations. 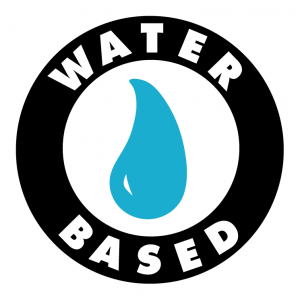 Some products are water-based and silicone-based while others are mineral-based. Water-based makeup is very lightweight and works well on most skin types including sensitive skin. However, it can wear off faster so using a primer is necessary. Silicone-based makeup, on the other hand, has a higher viscosity and more coverage. It stays on longer too. However, it can feel a little heavy especially if you aren’t used to using foundation. Meanwhile, mineral-based makeup contains minerals such as talc and zinc oxide but omits the use of preservatives and emollient oils. It’s lightweight and gentle on the skin and according to some, can help control acne. However, like water-based makeup it doesn’t last very long. 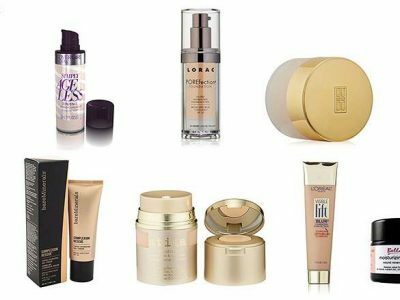 Which formulation to choose depends entirely up to you and your skin type. 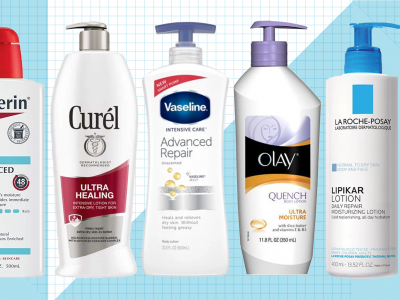 Each has its pros and cons and you’re the best judge of what will work well on your skin. Most airbrush makeup comes in kits. This saves you the hassle of buying individual items. Some kits contain two or three foundations, a blush and a primer. Others contain more items such as 5-10 foundations, blush, concealer, highlighter, primer and setting sprays. These naturally carry higher price tags but they’re more complete. If you don’t use many different types of makeup, a basic and cheap airbrush makeup kit will suffice. 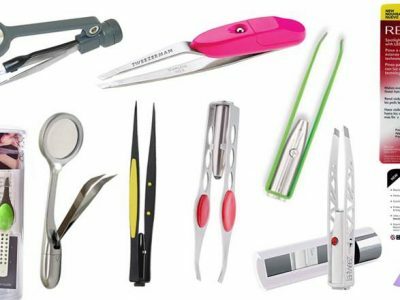 However, if you love to experiment or are a professional makeup artist you may find that a kit with a complete range of items serves you better. 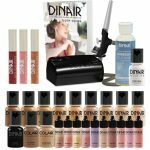 You can also put together your own kit by selecting the best airbrush compressor and your choice of foundation and other essentials like blush, highlighter, primer and setting spray. This is a good idea if you’re picky about makeup and have certain brands you prefer. Unlike with ‘conventional’ makeup, there still aren’t too many airbrush makeup brands. This certainly will change as more people are introduced to it. However, certain brands have made a name for themselves. Reading up on airbrush makeup reviews is a good way to know which brand is on top. Currently, these are among the best airbrush brands in the market. This is another brand that has amassed quite a following. One of the biggest advantages to using Luminess Air is that the airbrush makeup system is easy to use even for first-timers. There’s also a very wide range of products to choose from. Customers can purchase refurbished airbrush systems too if they aren’t willing to spend on a brand new kit. The airbrush foundations are offered in 5 different varieties with several finishes and coverages. Another brand that has a variety of products from foundations to blushes to bronzers is Belloccio. The products are lightweight, hypoallergenic and non-comedogenic, making them ideal for sensitive skin. They offer good coverage without looking heavy, which is what airbrush makeup should do. There are several types of airbrushes too as well as compressors for personal and professional use. The build quality is good and can handle everyday wear and tear very well. Aeroblend offers several different kits including personal kits and professional kits. The products are well-pigmented so only a small amount can be used to achieve an airbrushed look. 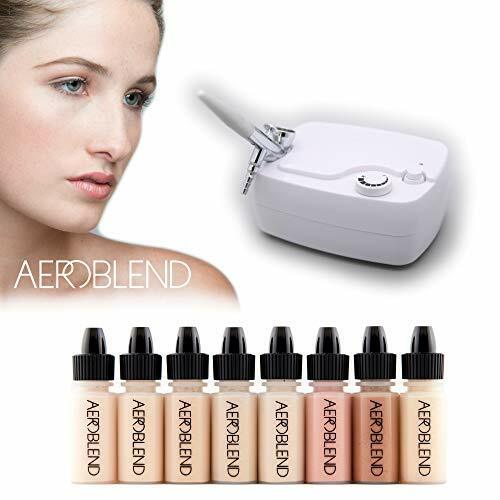 Like other top airbrush makeup brands, Aeroblend’s formulas are hypoallergenic and free of ingredients like parabens and fragrances that are known to irritate the skin. What helps the brand stand out is its long-lasting formulations despite being water-based. 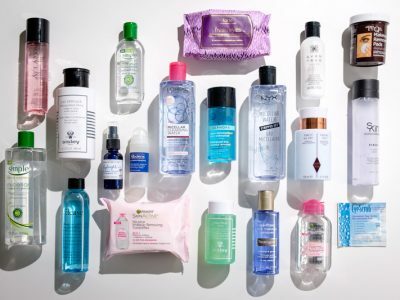 The products are affordable too and you get your money’s worth. 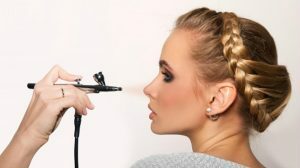 This is very important because airbrush makeup is more expensive than other types and is a sizable investment for many. It may take a couple of tries to get it right but the benefits of airbrush makeup have converted many a makeup lover. It evens the skin tone and conceals blemishes much more effectively than conventional makeup. Each kit contains what you need to get an airbrushed result so there’s no hassle in finding the right color foundation or the proper primer. The only work on your part is to select a kit with fair, medium or dark shades and get started practicing how to use airbrush makeup.